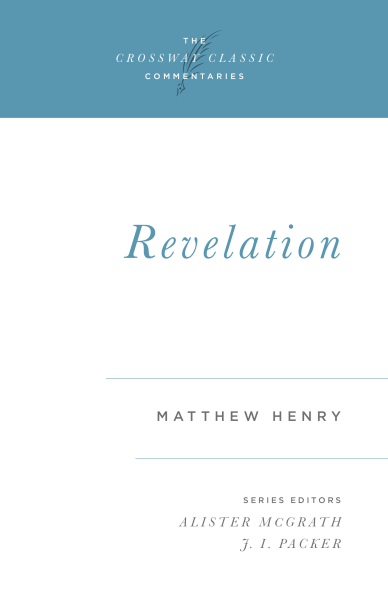 Matthew Henry explores Revelation's imagery and symbolism as the church is reminded of God's sovereignty to accomplish His will. No other New Testament book poses more serious and difficult interpretative challenges than Revelation. Full of vivid imagery and striking symbolism, the church is ultimately reminded of God's sovereignty to accomplish His purposes regardless of any opposition. The Lamb of God will be the victor in the moral and spiritual conflict of the ages. This eschatological book portrays the last battle of human history, the career and defeat of the antichrist, Christ's millennial reign, and His judgment of the wicked and the righteous. The apostle John's vision of the glorified Christ and the last times both exhorts and instructs believers. With Henry's classic insights and exploration of Revelation's key passages, this commentary is especially relevant for today's reader.